Explore Hanoi on an afternoon tour that includes a city overview, cyclo ride, and cafe stop. 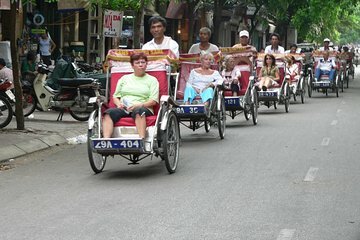 Your guide shares highlights such as the Temple of Literature, Tran Quoc Pagoda, and Hoan Kiem Lake, then pairs you with a cyclo driver for an open-air spin around the Old Quarter. Finally, stop at an outdoor cafe for an authentic Hanoi experience before your tour ends with drop-off at your hotel.